ProVision C4I provides a comprehensive package of services, leading your projects successfully, by combining proven methodology with efficient, effective experienced project managers. ProVision C4I knowledge and experience provides a leading edge to the profession of Project Management and System Engineering. ProVision C4I acknowledges that Project Management is an area of activity that requires thorough knowledge and extensive experience. ProVision C4I brings proven best practices, based on practical experience working in various projects with various organizations, integrated with your organization’s practices that enable successfully coping with complex project management. ProVision C4I introducing in-depth knowledge based on training and practice in the field, combined with many years of experience in managing small and large scale projects with diverse characteristics. ProVision C4I Project Manager will apply knowledge, skills, tools and techniques to project activities in order to meet (and exceed) project requirements and expectations, while balancing competing demands and resources. ProVision C4I skilled project manager will plan, manage, and handle details with a prime goal of leading your projects to success, in a way which enables you to relax and focus in your business. Our team is skilled with vast knowledge and varied experience in diversified professional and management activities, and armed with innovativeness, flexibility and creativity. All of those are aimed to bring an added value to your business. ProVision C4I strongly believes in constructed work based on proven methodology (i.e. a set of methods, processes and practices that are carried out to deliver projects), with the flexibility to adapt to the specific project and the company’s environment and culture. This methodology will provide the project team with the knowhow to complete and deliver your project (how it should be done, in which order and by when). ProVision C4I methodology is based on standards which are a collection of knowledge areas that are accepted as best practice (e.g. PMBOK) and includes a core set of processes to follow for delivering projects, a set of templates to help you build deliverables quickly, a suite of case studies to help you learn from past projects and the ability for customizing the methodology if needed. Incorporating methodology is beneficial in many aspects and boosts the chances of success. This is true only when accompanied with experience and relevant capabilities – The finest carpenter’s tool-box will only be as good as the carpenter. By bringing all the needed ingredients and professionally handling with care, ProVision C4I makes projects flourish. ProVision C4I perception is that projects are much like children – It’s wise to plan in advance and start when all the conditions are right; be enthusiastic and optimistic when they are born but also be realistic and the “responsible adult”; while they are growing , apply knowledge, wisdom and experience to take close care and navigate through happy and rough times in order to help guide and lead them to success, and then see them mature and accomplishing their goals but still follow and always taking care of their well-being. ProVision C4I offers various possibilities that will be adapted to your needs, taking full responsibility and providing a turn-key package to your project management, or by providing key members in your project management team. In all variation ProVision C4I will provide its knowledge and experience to ensure success. and define customer/market requirements; identify project stakeholders (i.e. considering all key factors (e.g. requirements, schedule and budget). plan, and other topics as needed. documentation & reporting, continuous improvement procedures and more. of project decisions on the cost of using the project’s product). 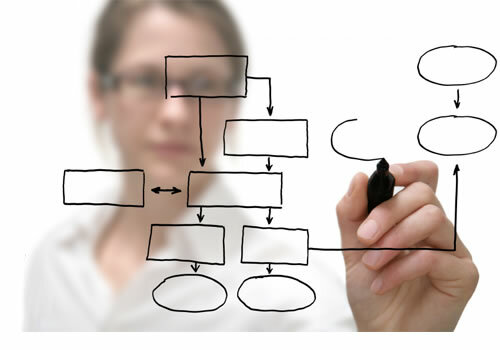 A system engineer is an essential and dominant function in the project organization structure. ProVision C4I will provide this expert who will professionally orchestrate the project experts and professionals staff during marketing activity, contract negotiation, design and developing the project, qualification and functional tests, manufacturing, fielding and customer service. ProVision C4I system Engineer is highly skilled and experienced with all capabilities needed, including technical aspects (System Definition, System analysis, System design and architecture, Analyzing alternatives and setting working point, Functional and physical system structure, System implementation, System performance verification), administrative aspects (Determining the methods, tools and processes of the system engineering program, Professional management of the program, Managing the integration process, Technical Control) and leadership aspects (Building the technical staff, Team development, Team spirit, Team motivating). The effective interaction between the project manager and the system engineer is crucial to the project success, since system engineering is a key element in context of the overall project management (i.e. planning, risk management, configuration management, data management, project assessment, decision analysis). throughout the design and development and up to the delivery and support). system-wide considerations, functional analysis and more. • Coordination between the individual engineering teams and all project teams.